As per my original thread regarding Vaping, this is my four week update! It’s working. I’m snacking significantly less, and my weight is maintained. My health actually seems to be improving – I’m running up and down stairs like they don’t exist (Mind, I was panting the other day, when I carried 60lbs when running up stairs lol), and my initial cough has vanished. I’ve tried lots of different e-liquids, and have discovered that like cigarettes, they vary greatly, in terms of flavour, nicotine content, and smoothness. One liquid I did try, My Man, was like trying to smoke razor blades – wow – nasty – made me cough my lungs up (Great flavour though); however the vast majority have been awesome. 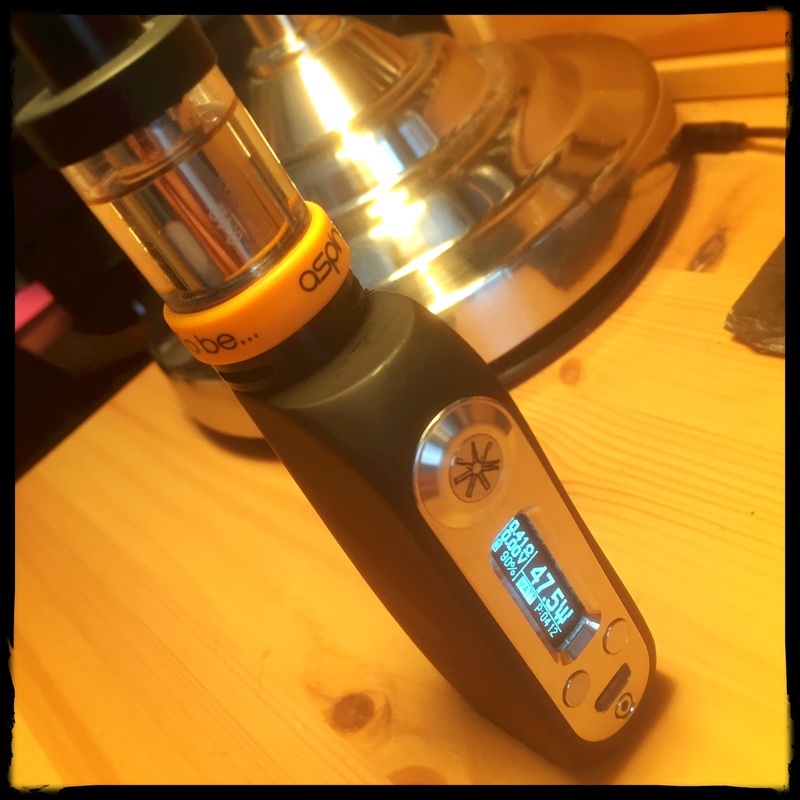 As per the picture, I also upgraded in terms of mod and tank, going for the Asmodus – Ohmsmium with the Aspire Cleito tank. Wow. The combination blew my mind – an incredible difference, and one which I couldn’t have imagined – so much better. I think the combination of the upgraded mod, better tank, and a smooth e-liquid has firmly brought vaping home to me. Previous Previous post: Double decker cats!